GBPUSD has been stable over the last recent days however the traders are waiting for Bank of England’s (BoE) latest rate hike announcement. The support rests at 1.30980 with resistance at 1.31610 which the weekly pivot point at 1.31300 is located in between the lines. The EMA of 10 is moving with bullish bias in the ascendant channel and it is below the EMA of 200 and the EMA of 100. The RSI is rising towards the overbought area, the Stochastic is moving in high ranges and MACD line is above the signal line in the positive territory. The ADX is showing buy signal. 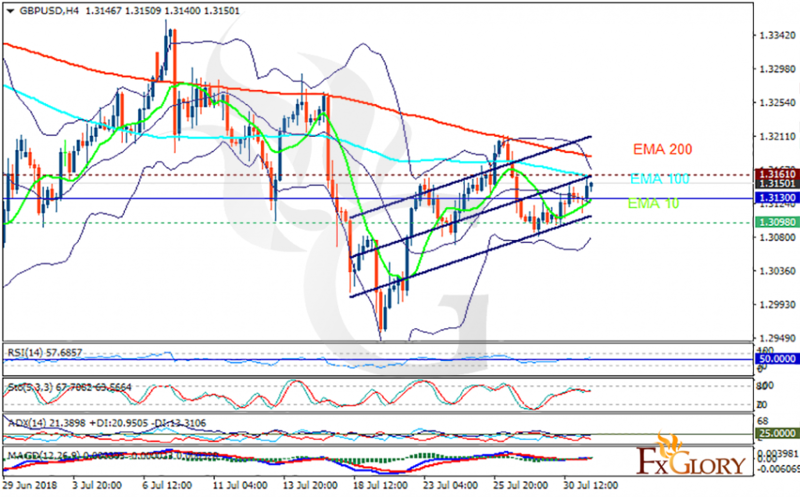 GBPUSD is probably growing towards 1.315.